If you have a food allergy, plan ahead for any festive celebrations, checking recipes and ingredients for allergens. If you are going to someone else house, phone a few days in advance & chat about your allergies. 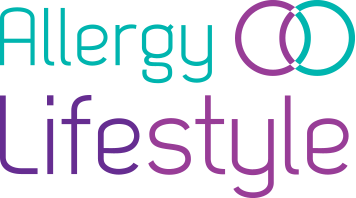 Check ingredients, share recipes or bring an allergy friendly dish along. Thanks to new legislation restaurants are getting better at catering for allergy customers but it’s always good to ring ahead and speak with the manager or chef and ensure they can cater for you and are prepared to avoid cross contamination with oils and utensils which might be contaminated with an allergen. At this time of year, recipes can change to become more decorative. Food can be sprinkled with nuts or other allergens to look more festive. Mould & pollen on real Christmas trees can cause problems for people with allergies. Ask a non-allergic buddy to give your tree a good shake & hose down & allow it to dry before bringing it into your home. The same applies for fake Christmas trees and dust mite allergies. When you locate those decorations in the attic they can be covered in dust causing problems for people with dust mite allergies. Wipe them down with a damp cloth and store in airtight plastic containers when putting them away to avoid dust build up. If you have a latex allergy be careful around poinsettias as these popular Christmas plants are a member of the rubber tree family & along with balloons can cause problems for people with latex allergies. 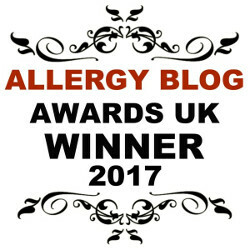 This entry was posted in Blog and tagged Allergy ideas Christmas, Christmas with Allergies, Christmas with Anaphylaxis.